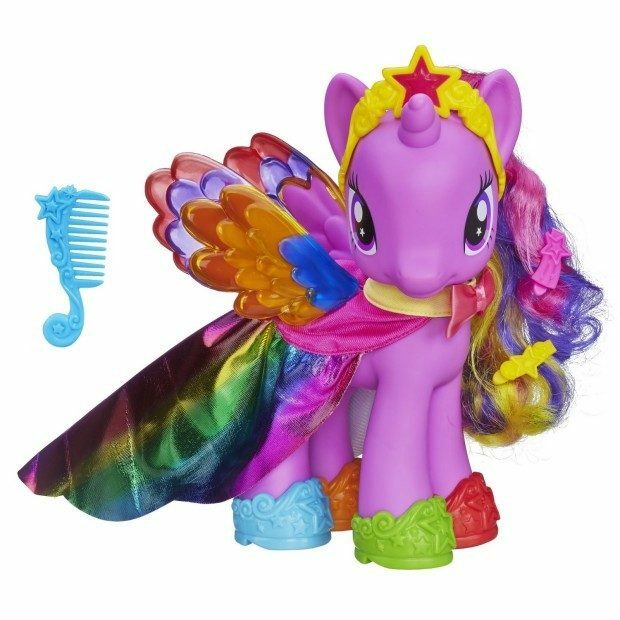 My Little Pony Rainbow Princess Twilight Sparkle Figure Just $18.50! You are here: Home / Great Deals / Amazon Deals / My Little Pony Rainbow Princess Twilight Sparkle Figure Just $18.50! Head over to Amazon and get the My Little Pony Rainbow Princess Twilight Sparkle Figure Just $18.50! Get FREE shipping on orders of $35+ or if you have Prime! Dress up Princess Twilight Sparkle pony in a rainbow outfit. Style her hair with her comb and barrettes. Attach her rainbow wing accents. Place her pretty tiara on her head. Princess pony wears a royal rainbow dress!